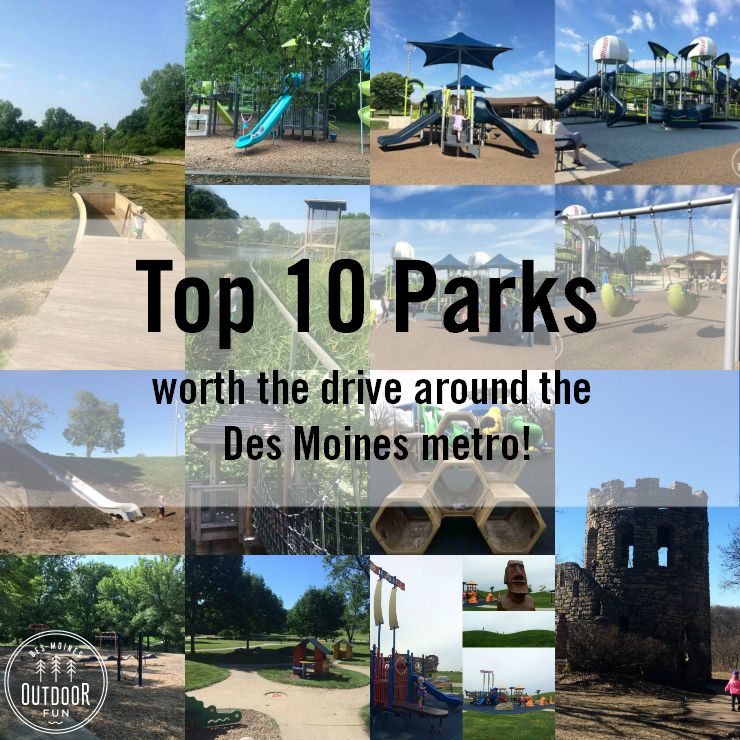 Des Moines is surrounded by several unique communities. I love to take day trips and explore what every town and community has to offer. 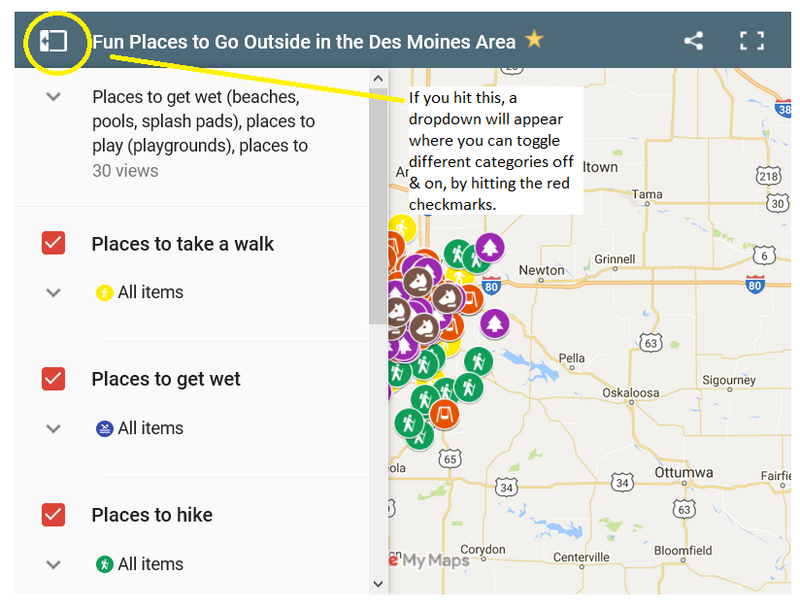 Usually, when people think of Altoona, Iowa their first thought is Adventureland or Prairie Meadows. 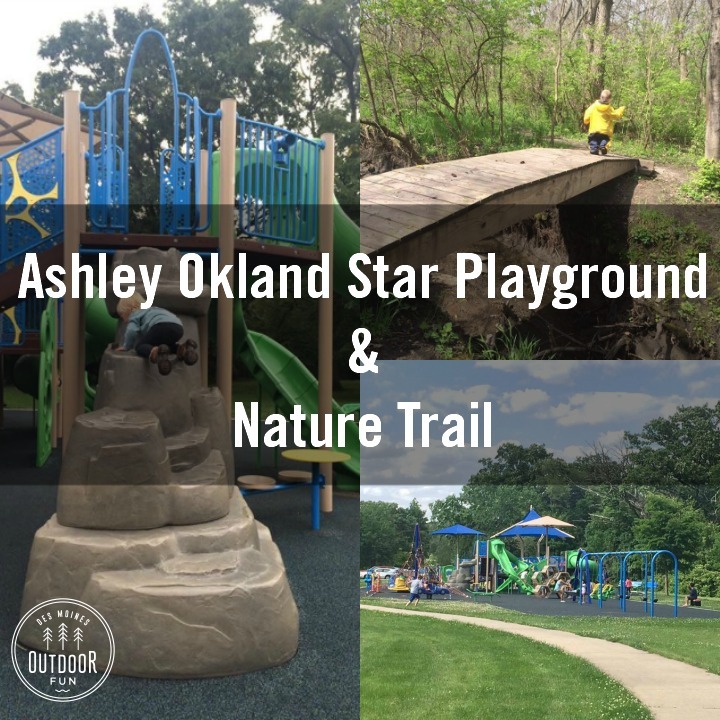 Altoona is filled with a lot of free, outdoor options as well. 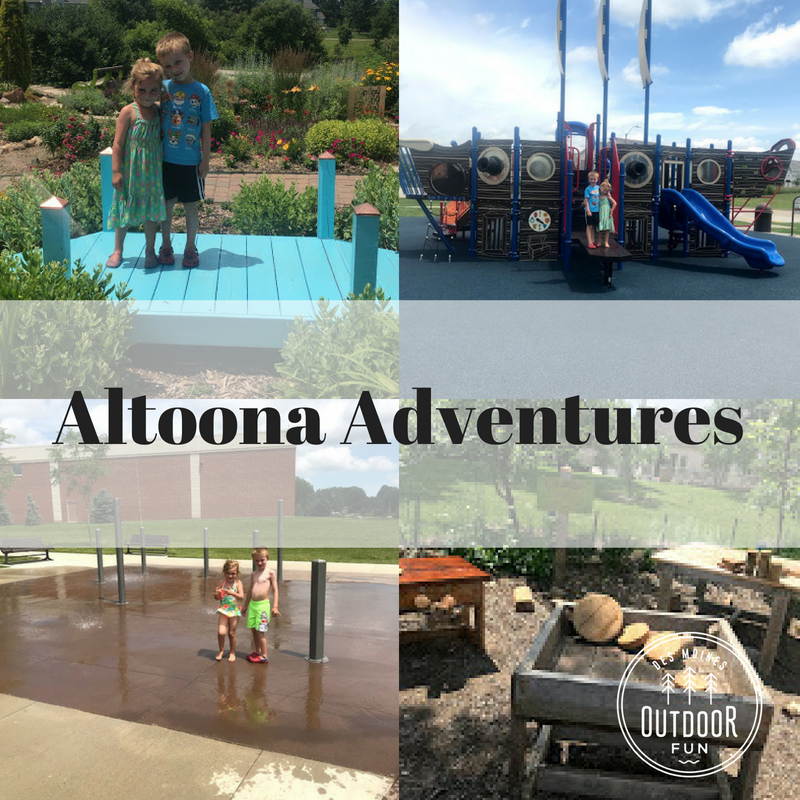 Take a look at our fun Altoona adventures. 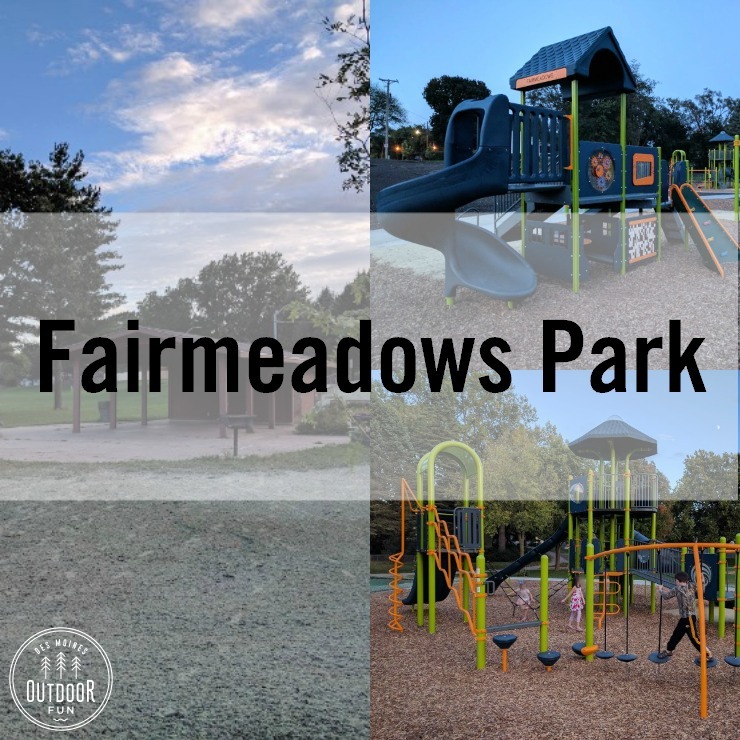 Ironwood Park – click here for address and complete details about the park. 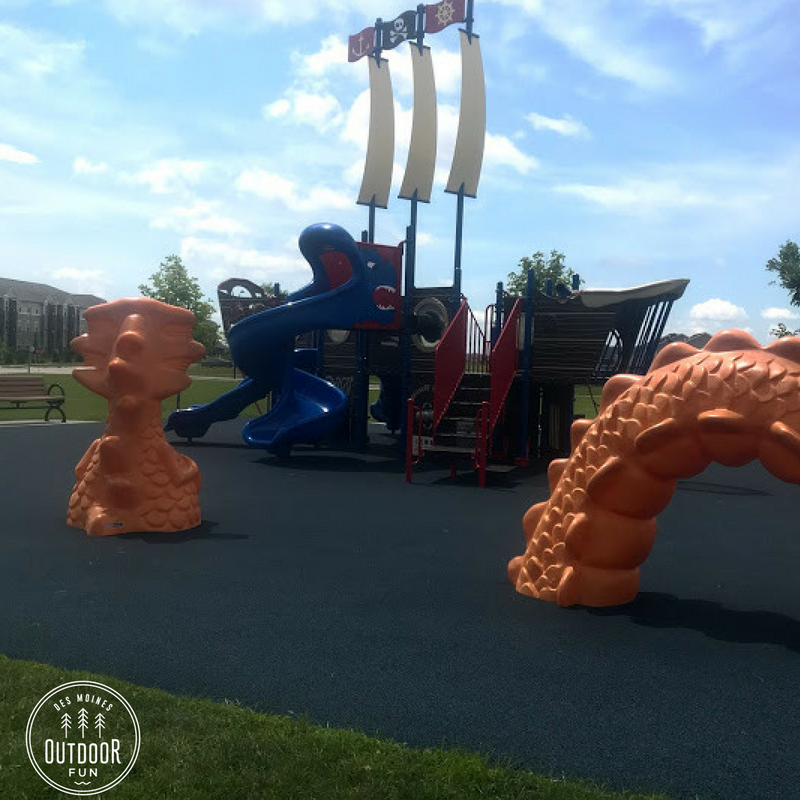 The one park we always visit at least once a year is Ironwood Park aka the Pirate Ship Park. This park is loaded with hours of fun. We started our day here. It does not have many shaded options, except for a covered area that included four picnic tables. 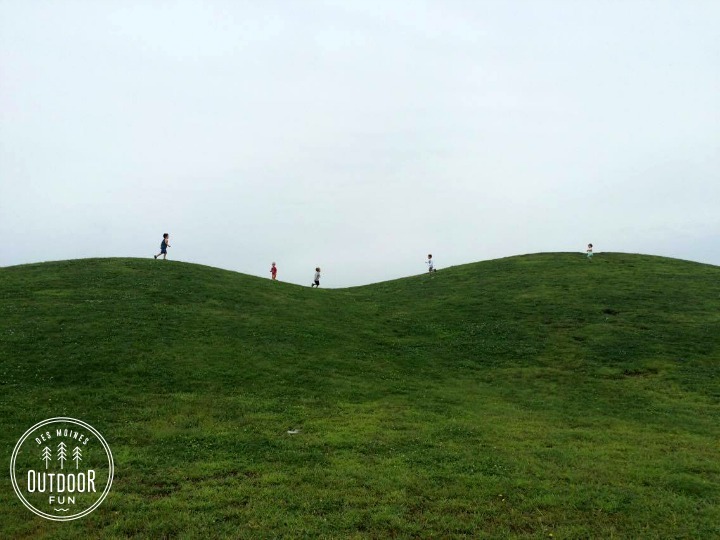 The kids enjoyed climbing all the equipment, running up and down the hills, and playing pirates with all the friends they made. 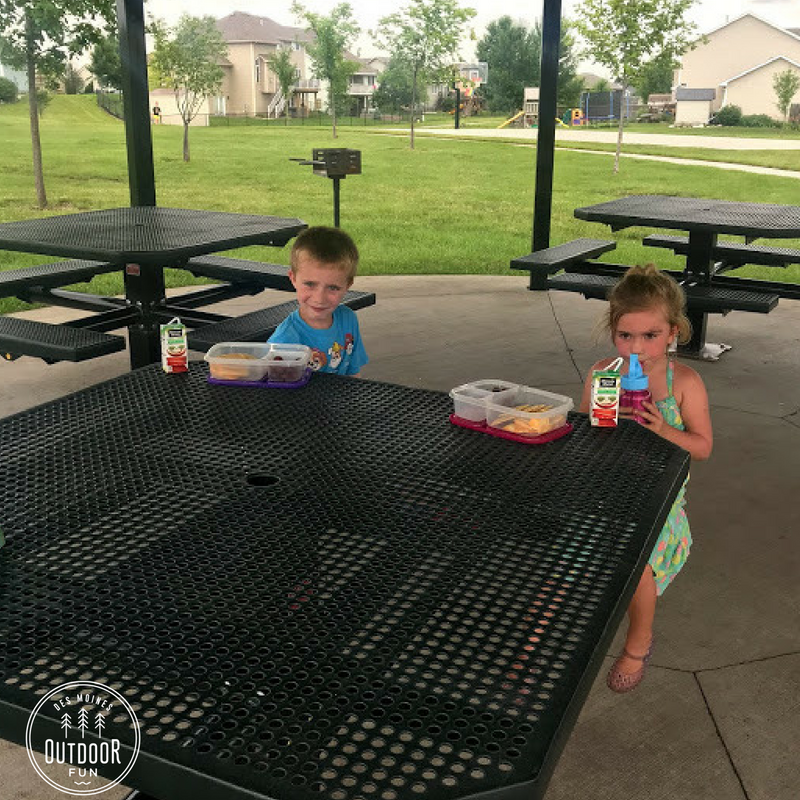 After running around for awhile, we decided to eat our packed lunches. The Enabling Garden – click here for address and complete details about the park. After our lunch, we hopped into the van and headed to the Enabling Garden which is located right down the road. This was our first experience and the kids loved it. 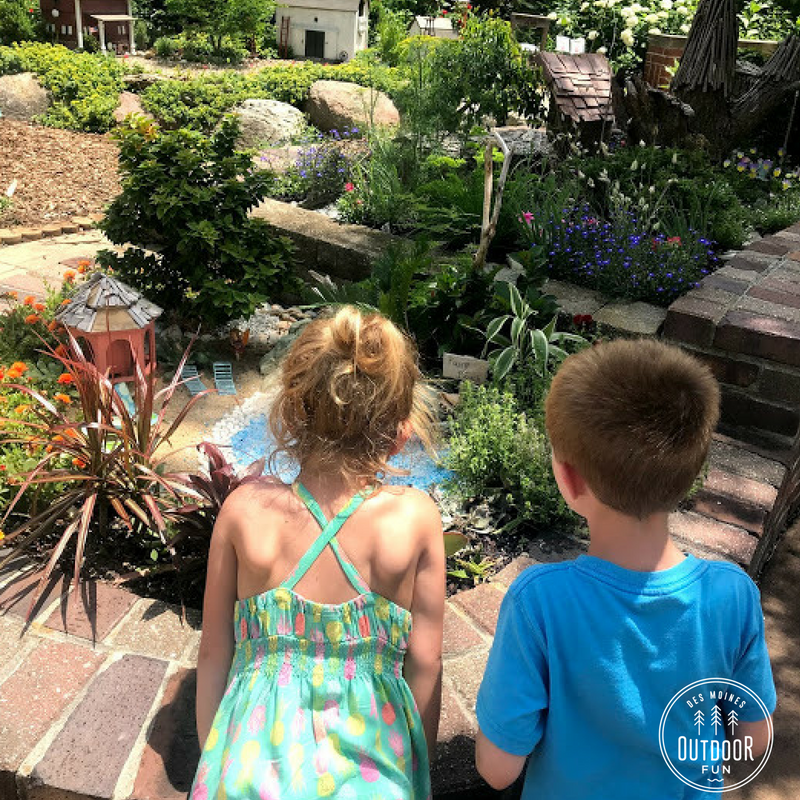 It was fun to look at all the plants, fairy garden, statues and the kid’s area was great too. 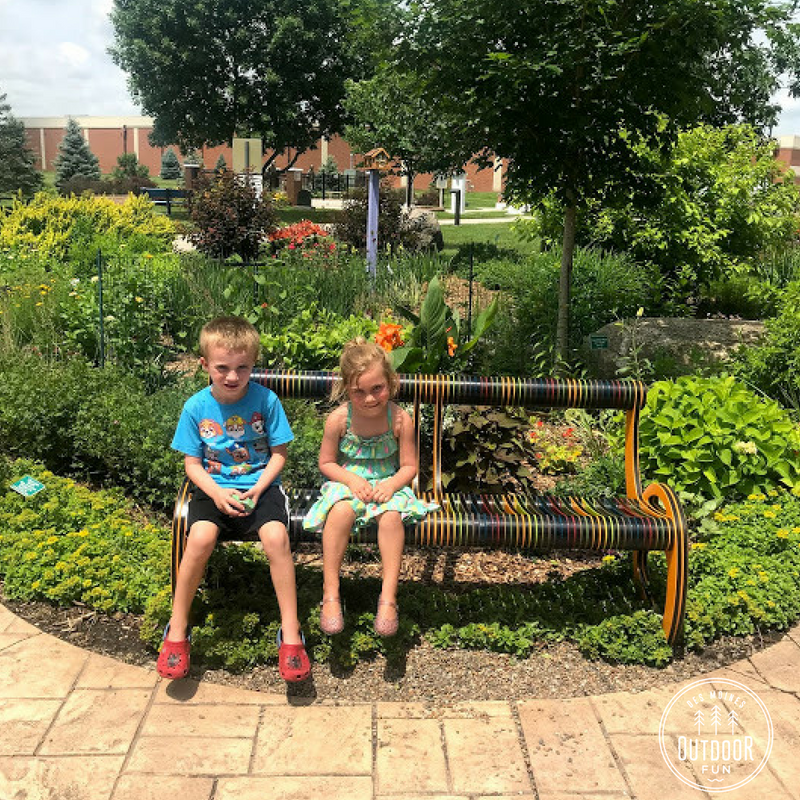 It was a great place to relax on the bench, while the kids had fun getting dirty. The kids loved to play music on the drums and xylophones that were provided. I think every community should have something like this! 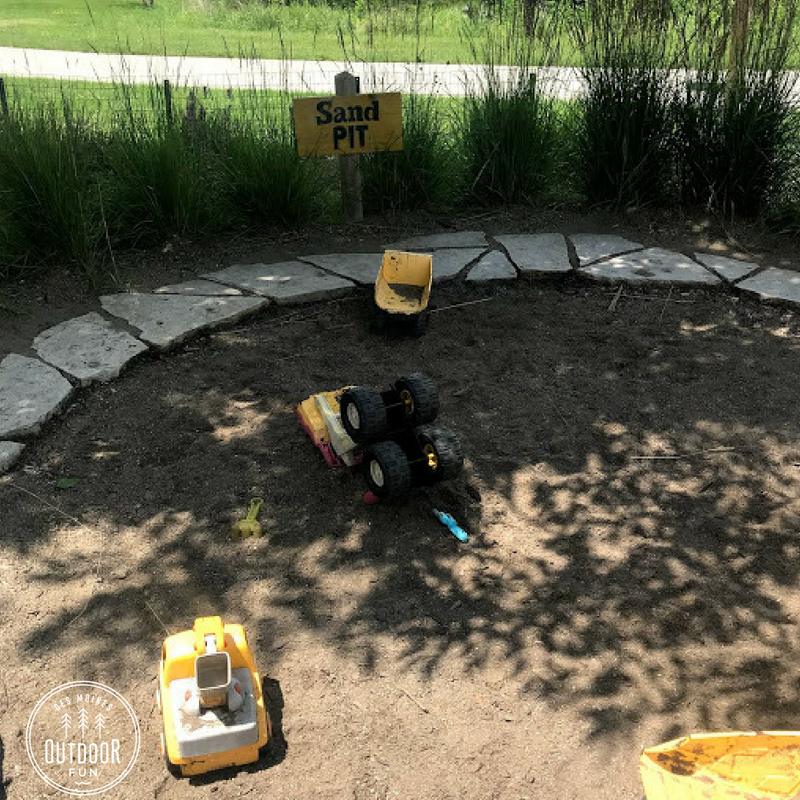 It is a great way for all ages to use their imaginations outdoors. Prairie Heritage Park – click here for address and complete details about the park. 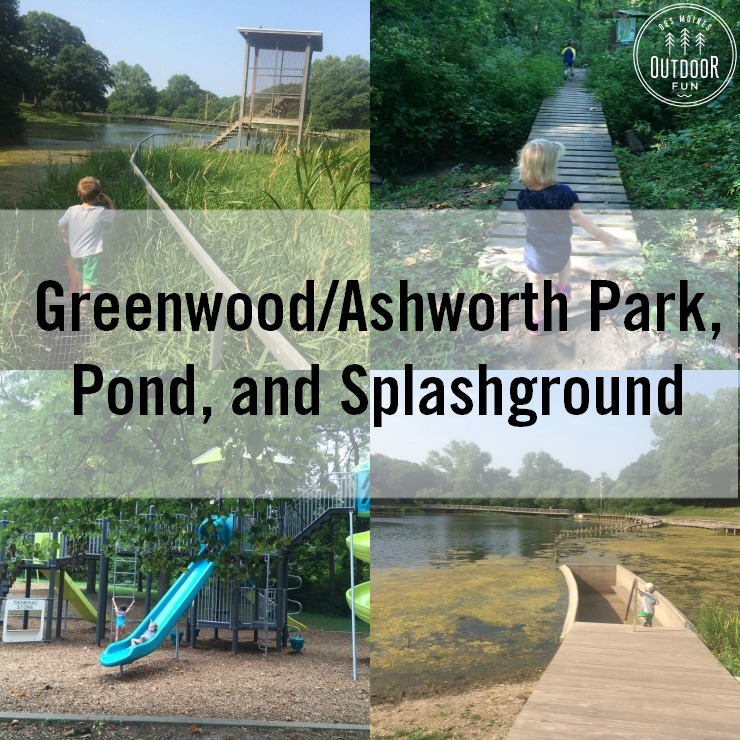 After exploring Ironwood Park and the Enabling Garden, we were all a bit sweaty and ready to cool off. 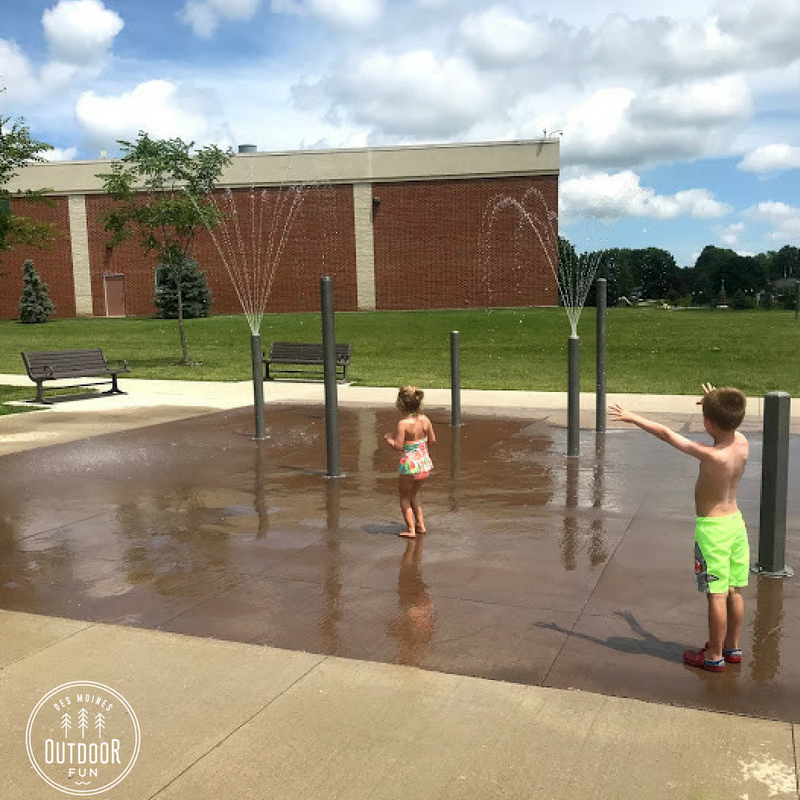 Prairie Heritage Park offers a fun spray ground so the kids can run and play in the water. There is also a large fountain in the area. The kids cannot play in it, but they liked to walk by and get their feet wet. There was a well-shaded area to sit and cool off as well. 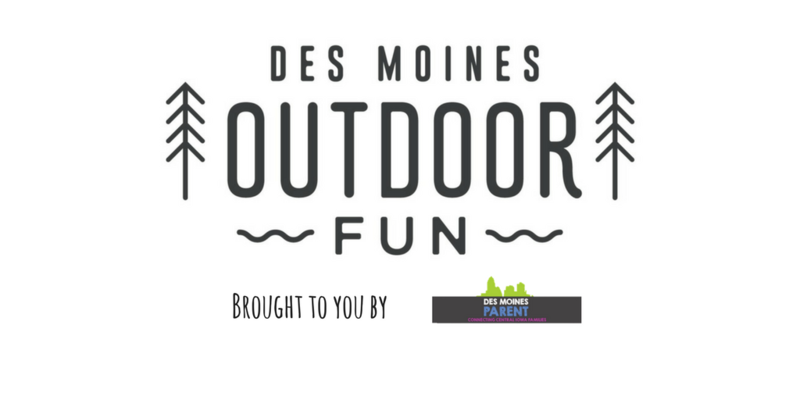 This area is located right by Hy-vee so if you need to restock on snacks or water, this is the perfect place to stop! We decided to pack a lunch and snacks, but you can stop at the Sugar Shack for a local lunch and dessert. It is located right in the same area. All three of these locations are along a bike trail. 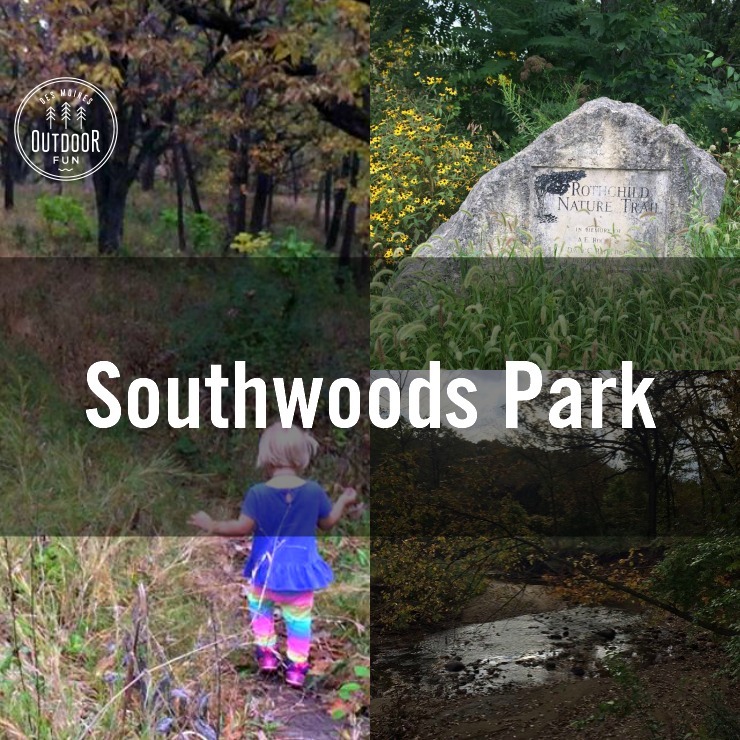 You could park at Prairie Heritage Park or Ironwood Park, grab your bikes and ride to each stop. This area is right around a pond with trails. It is a beautiful place to walk and explore. There are rock fountains, geese and much more. The Altoona Farmer’s Market is held every Wednesday from 4:30 to 7 p.m. in the Summer. End your day shopping homegrown produce, handmade and hand-picked local items. If you are a craft beer fan, Brightside Aleworks is located right near Prairie Heritage Park. After a long bike ride grab a cold, local craft brew! 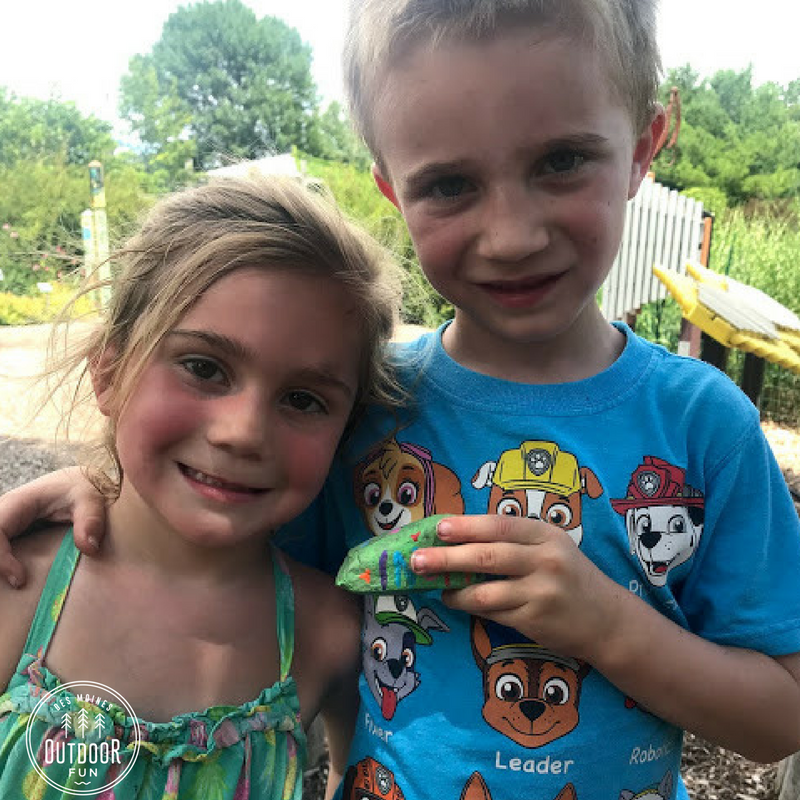 We also hid another #DSMPRocks rock somewhere on our adventure! Can you find it?